It is interesting to watch the development of the eggs coming out of the chicken department. They started off quite small, maybe a size 5, but have gotten bigger over time. All three chickens were laying but the latest happening is that Frodo has gone broody. Oh dear. 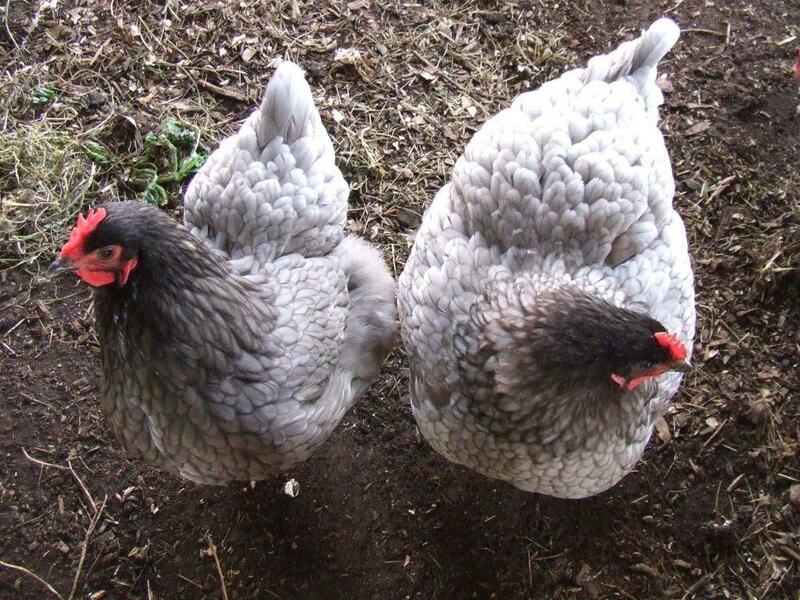 This is highly inconvenient as I struggle to get much time with the chickens at the moment. She is fine when we push her out of the hen house but if there are eggs in there she will just sit on them until she is removed. 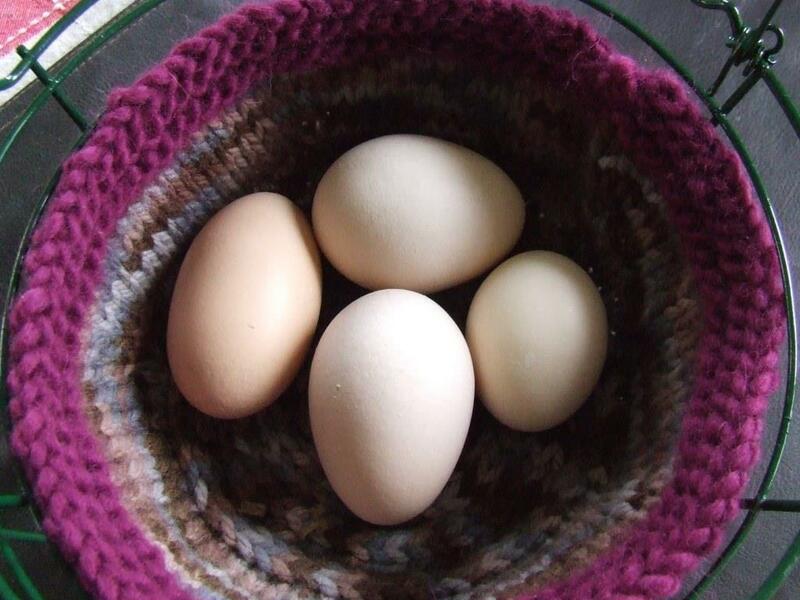 She has also stopped laying her own eggs, which were the smaller, darker brown eggs as I suspected, meaning she was the last to start laying, as I suspected. After a bit of googling, I think the answer is to put Frodo in the big cage, turned on its side and propped up on bits of wood so she is standing on the wire. Then she will have nothing to sit on and will have to succumb to normal activities like eating and drinking. They’re kind of important. An egg line-up. 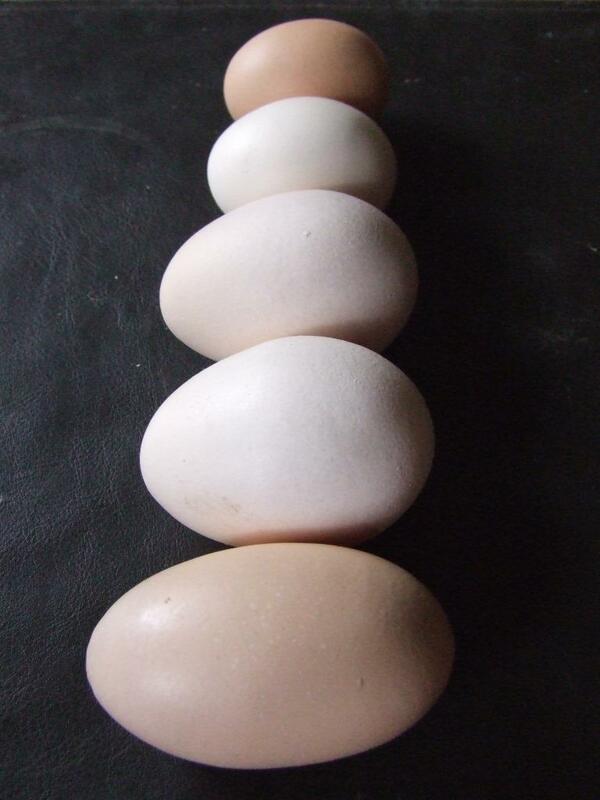 The brown ‘Frodo’ egg at the top is about a size 5. Those jumbo eggs were very rounded too. I was planning to fry the eggs so I could take photos of any double-yolkers, but before I could say, “Oi!”, The Husband had cracked two of them into a bowl and seasoned them for an omelette. Not quite the same photo effect I had in mind. I saved the other one for frying the next day, and all three were double-yolkers! It’s not surprising really, considering their size. 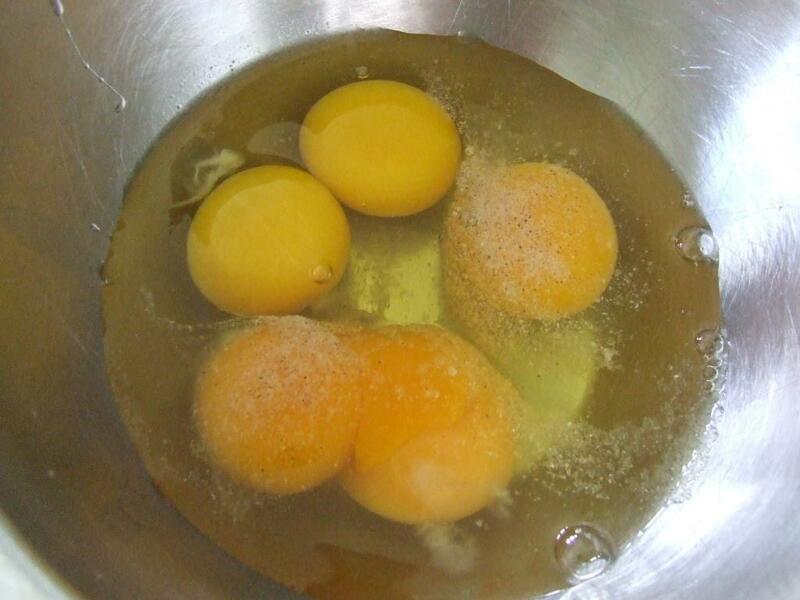 A double-yolked jumbo egg, double-yolked torpedo egg and single-yolked normal egg, already seasoned. Previous Article There will be Tomatoes!